Oritsefemi has sent congratulatory message to the Wellingtons in his post on IG. 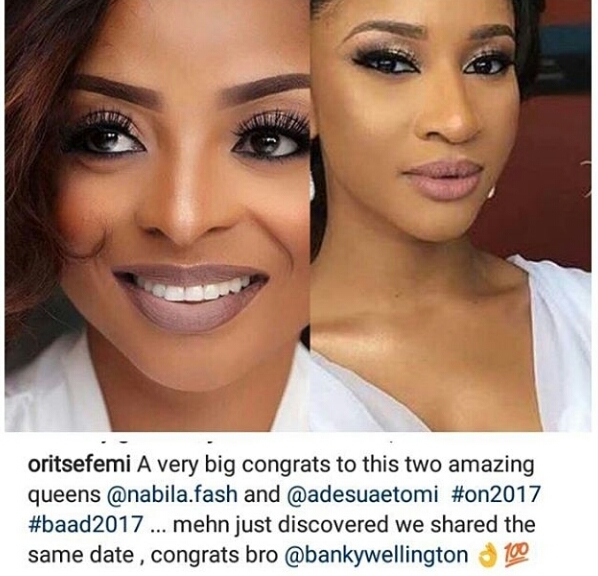 He caption a picture of his wife Nabila and Banky W wife, Adesua Etomi saying he just uncover that their wedding was held the same day. 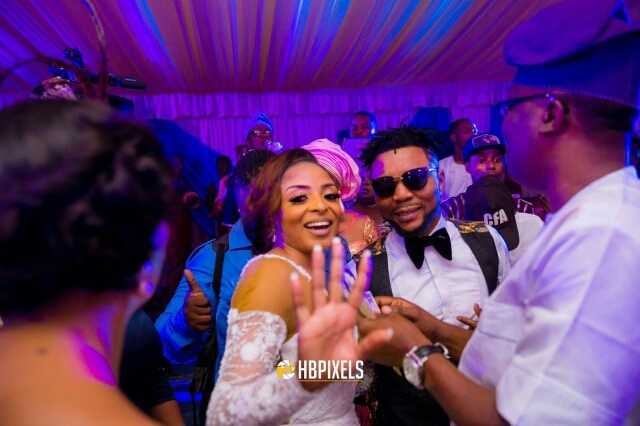 Oritsefemi and Nabila has their white wedding the same date with Banky W and Adesua which is 25th of November.